Gone were the days when you had to wait for days to book your compression stockings and wait for the vendor to reach your place take your sizing and give you the proper compression stockings. Today, its just a click and mostly delivered within 24 hours. Oh wait, are your wondering how do you measure yourself? We have 1000+ customers doing this every month! 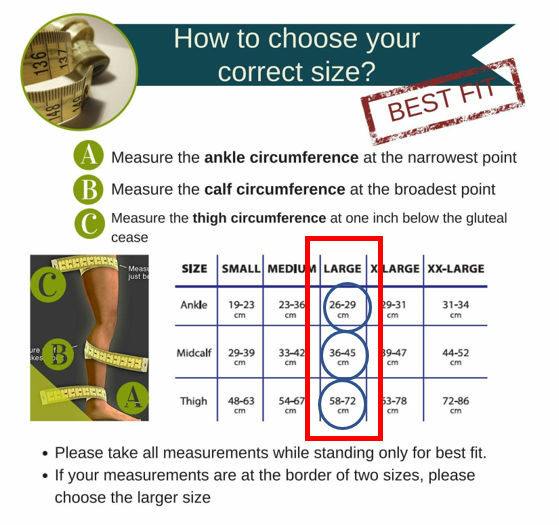 Important things you need to successfully measure your legs for the perfect compression stockings. The ankle reading is in the border of two sizes, in such cases always choose the larger size.